The top Hotel Kitchen Equipment Manufacturer has come up with several stainless steel equipments that are sure to enhance the kitchen’s performance. When one eats a burger sitting in a restaurant, he or she can feel and enjoy the sauciness, the smoky taste, and the tangy touch of the ingredients infused with the flavors. This won’t have been possible if the meat patty and the other ingredients would not have been cooked to perfection. In order to make the food taste right, the chef must be able to know how to use the modern hotel kitchen equipments like a char broiler or a griddle. The premium quality stainless steel equipments are designed by the most trusted Hotel Kitchen Equipment Manufacturer. When one is setting up a commercial kitchen, he or she must remember that the perfect plan must be ready. One needs to decide first the menu or the cuisines that will be served and then look for the best quality and modern equipments. If the owner plans to serve burger, tikkas, steaks along with sandwiches and vegetables, then the owner must incorporate the commercial char broiler and the commercial griddle plate in the kitchen. Both these equipments work with the steam infuse taste and flavor in the food thus making the consumer enjoy the right flavors in a perfect manner. Griddles:- Griddles are the flat surfaces, which are primarily powered by the electricity. Girdle Electric can be an efficient choice because it helps many food items included in the menu. There is nothing, which cannot be prepared on this equipment. This can be even used for heating up a cold food item. All that is needed to be done is to purchase the one that is sure to meet the kitchen requirements. 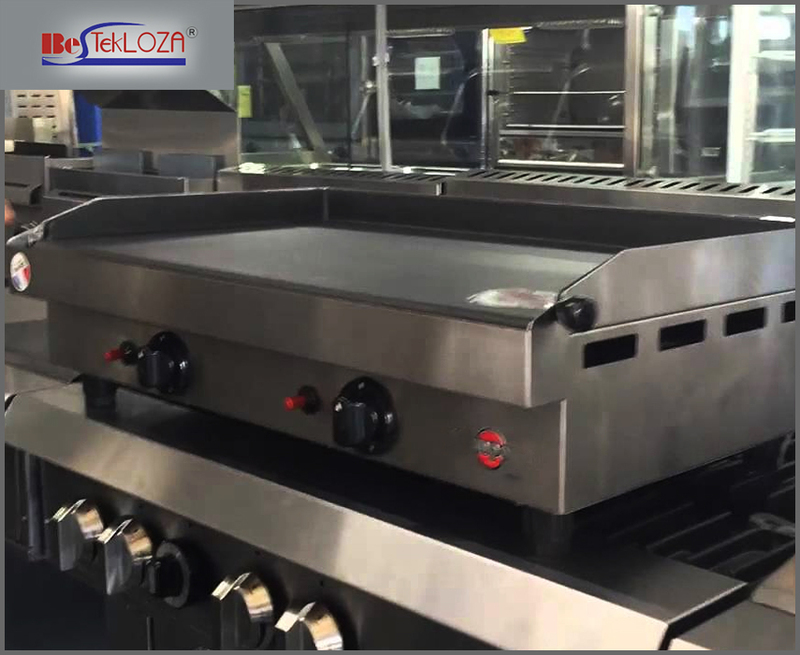 The griddle is an extremely valuable as well as effective commercial kitchen essential that helps to serve the customers varieties of food items for lunch, breakfast, and dinner. High-quality griddle helps to cook the food faster besides retaining the original taste and flavor of the dish. If the restaurant is found to have a huge customer and clientele then there should be a heavy plate griddle in order to retain the heat for longer time as compared to the thin plates. Char Broilers:- Char broilers are called so because these kitchen equipments char the food item to the extent where the actual taste of the food stays buy gradually gets infused with the smoky flavor. The food gets even distribution of heat. This makes all the ingredients cook equally and at the same time. Char broilers are available in all sizes so that these can fit any of the counter tops. The sear lines of any charred food make the dish more appealing as well as appetizing for customers. Enjoy cooking foods in large quantities using several other equipments besides only these two. Purchasing these from the top Catering Equipment Manufacturers in Kolkata will never disappoint the buyer in terms of the quality of the products and the design. With the right equipment and using it in the right way can help in cooking up storm of flavors to make the dish a tantalizing experience for the customers. This will make the customers visit the place again and again. The Basic Model of A KhoyaMawa Making Machine Used In Plants Benefits Of Using Stainless Steel Kitchen Equipments.